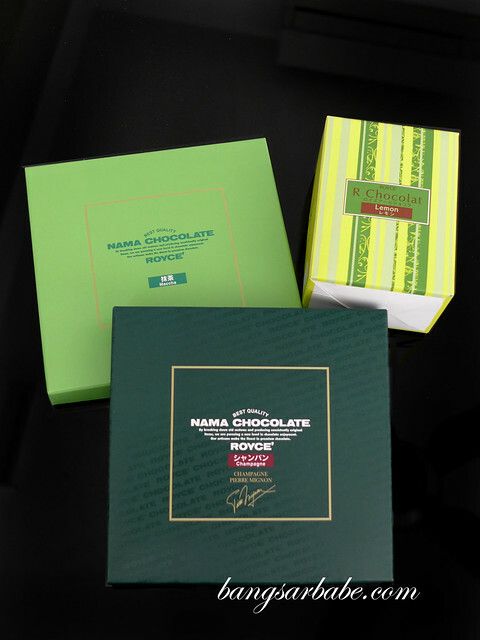 My first ROYCE’ Chocolate experience happened to be from its signature range – Nama. Bitter Nama Chocolate to be exact. It was alluringly creamy with a velvety texture and subtle aroma. For someone who tends to chew her chocolate, I didn’t with this one. Instead, I let it slowly melt in my mouth. Oh, the bittersweet pleasure! 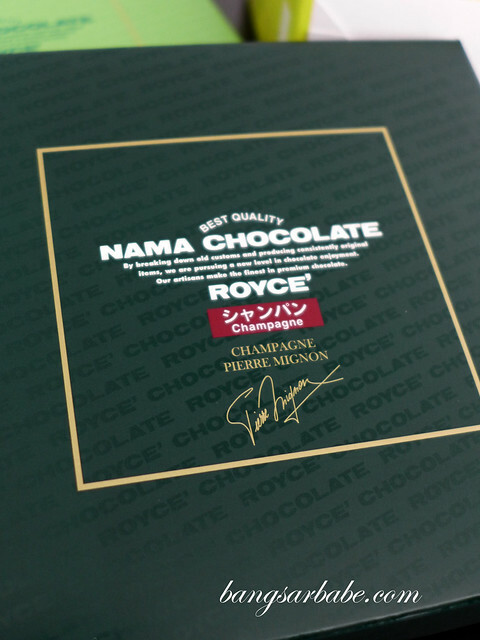 When ROYCE’ Malaysia offered to send some chocolate of my choice over, I think I had a Cheshire Cat grin for half a day. 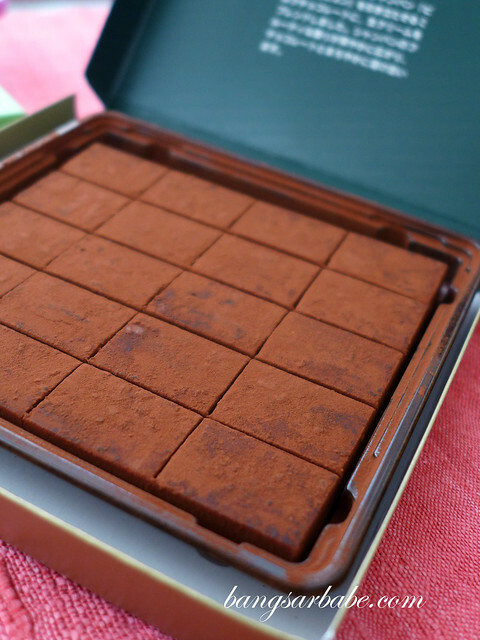 Not too long after, the Champagne Pierre Mignon, Maccha and R Chocolat Lemon arrived at my doorstep. 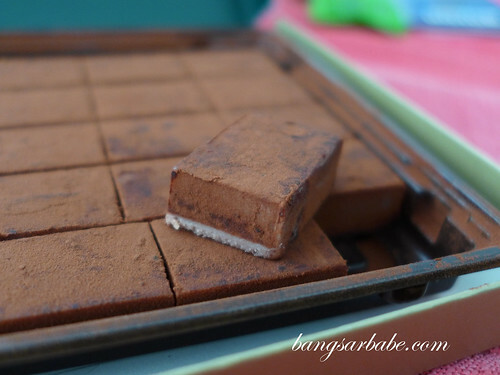 Melts in the mouth, almost like praline. The champagne version was imbued with a centre so smooth, it melted in the mouth. Almost like praline. Made using the highest quality ingredients and connoisseur-worthy Pierre Mignon, each square was rich with a fruity hop from the champagne. 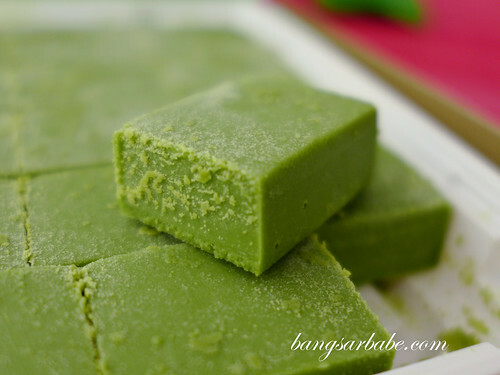 The Maccha was a bittersweet symphony of white chocolate and premium green tea powder. Fragrant, smooth and so elegant. 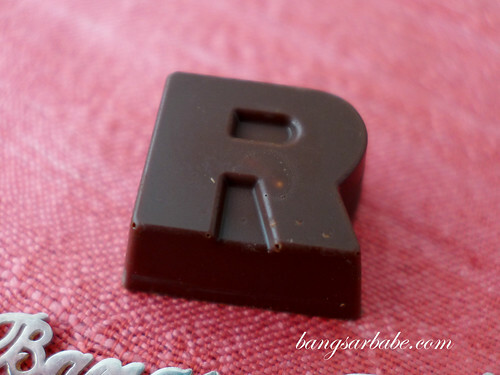 I wasn’t as bowled over with the R Chocolat Lemon — an R shaped chocolate filled with lemon cream. 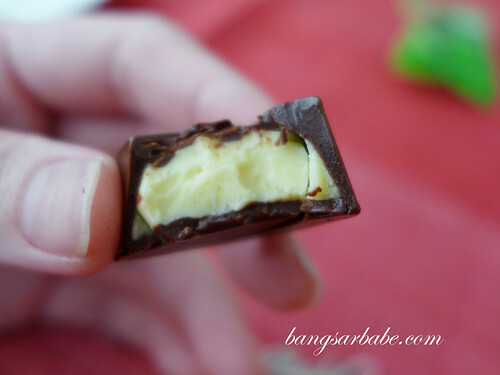 While the cream was tasty, I’m personally not big on tangy chocolates. I reckon the R Chocolate Gianduja would have been a better fit.